Sorry for the long blogosphere absence, it hasn't been intentional. I've had a crazy last 5 - 6 weeks. My oldest niece got married and all the hoopla surrounding that, I went on a camping trip, my daughter had 4 root canals and have been working on a couple secret projects. None of these activities help in the actual sewing of a quilt but I did get a lot of designing done and one baby quilt. This was a fun quilt to make, very cheerful. 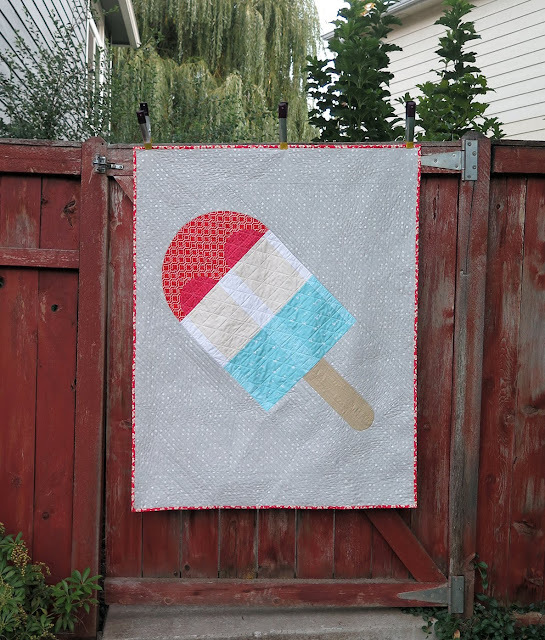 I did the math for piecing the Popsicle on point and have to say may calculations were much more forgiving on this quilt top then on the 11" Popsicle blocks. 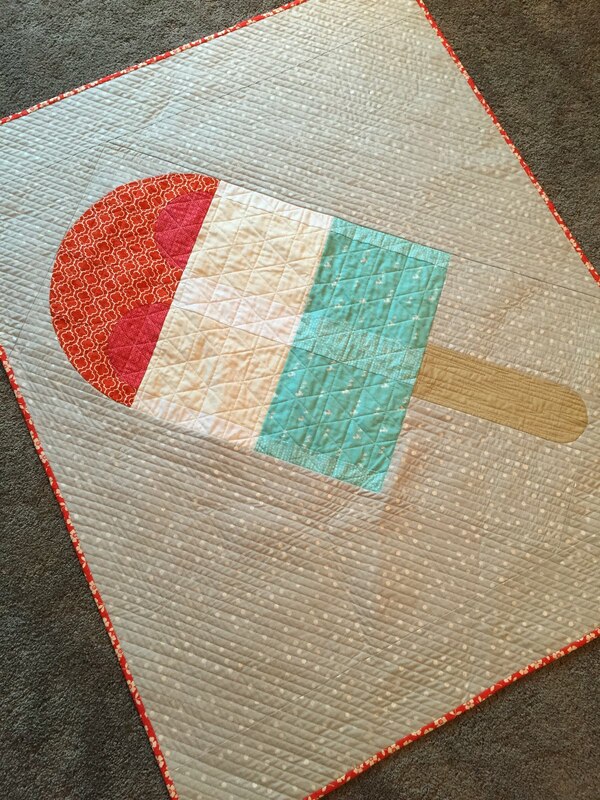 I didn't want the quilting to take away from the Popsicle so I kept it very simple but added a wood grain to the stick. 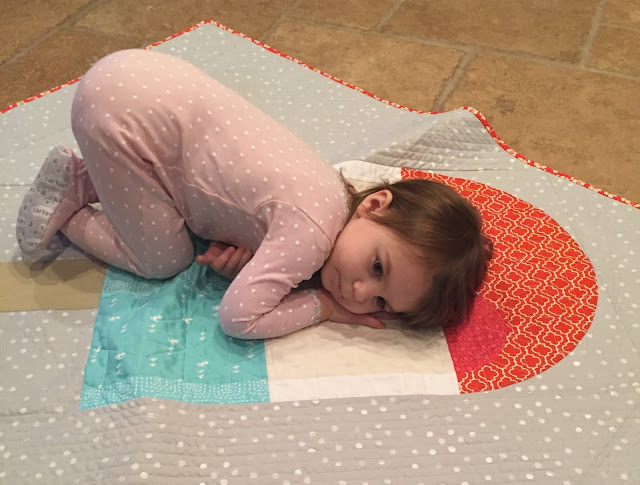 And finally one of the main reasons I made the quilt... to give it to my daughter. 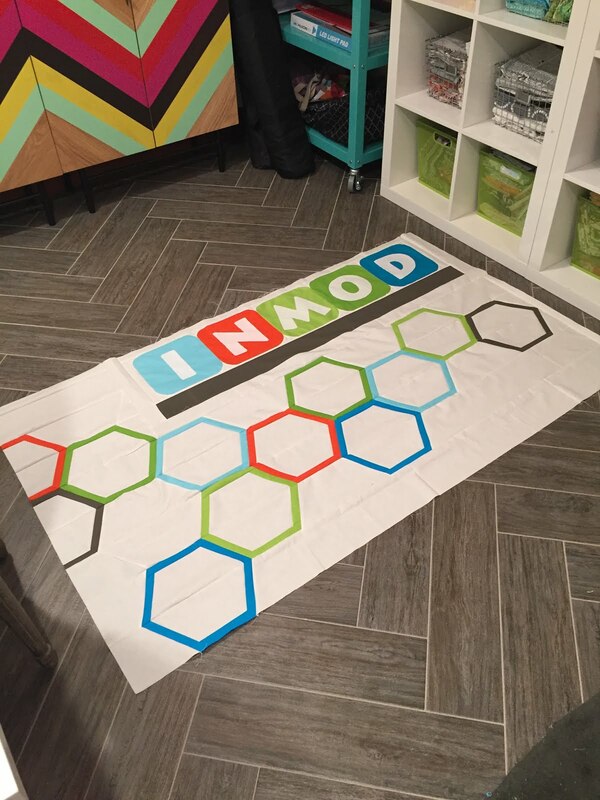 I also worked on a banner for the Inland Northwest Modern Quilt Guild. I finished the top and am hoping one of our talented guild members will quilt it. 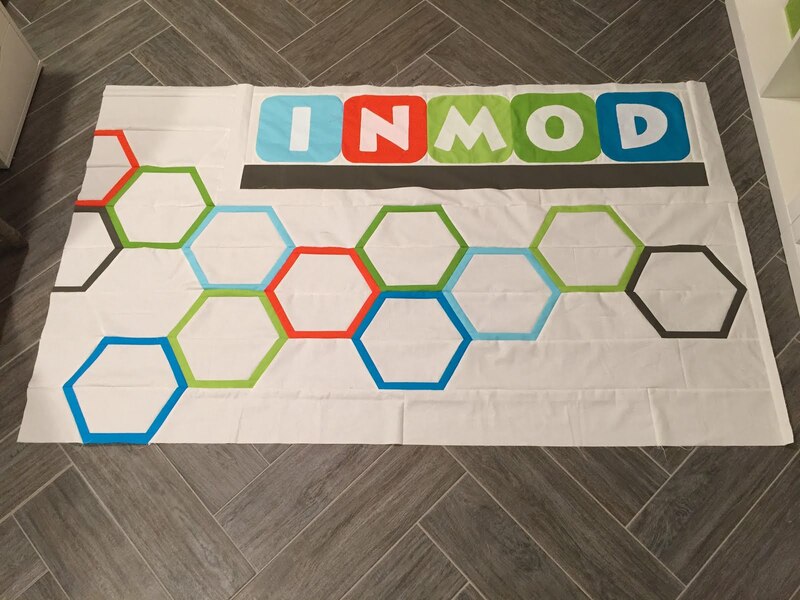 I'm pleased with the finished top and hope the guild will be able to use this banner for a long time. I have a couple more shows coming up, the Spokane Interstate Fair and Washington State Quilters. 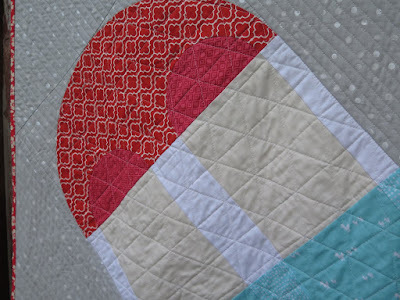 I have one quilt in the fair and SIX in the WSQ show. Neither of these shows are juried but I am feeling a little pressure for the fair because my quilt won a special award last year. I've never won anything at WSQ so no pressure there. I won't find out until December if any of my quilts get into Quiltcon 2017 but I am working on a Michael Miller Challenge quilt for submission.